Like bread & butter pickles? Then you’ll like the taste of this relish. 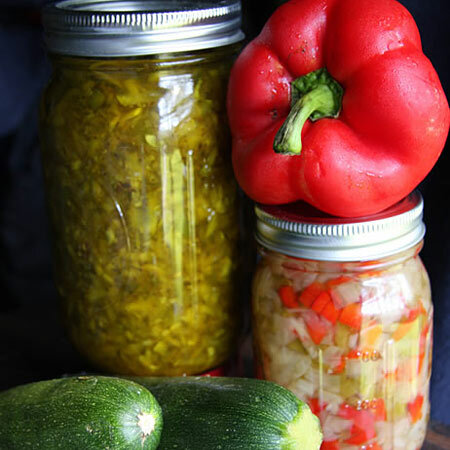 I’ve received requests for what to do with all that home-grown zucchini beyond sautes and quick breads–this relish recipe will make it possible for you to enjoy zukes year round. It’s credited to Lori Leeann Martin of Oak Harbor, WA., and was included in a Royal Neighbors of America flipbook 40 years ago.